The new Blink-182 album is almost here! 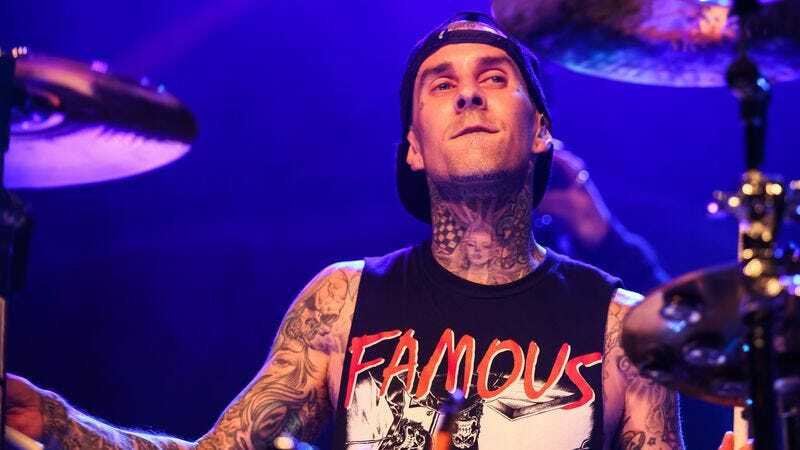 According to drummer Travis Barker, the songs for the new album are actually all recorded—too many, in fact! “It’s just a matter of picking what 12 to 14 songs. I think we wrote 26 or 27, so everyone right now is really pushing for their favorites,” Barker wrote, setting up a musical pickle that even the mythically wise Solomon—who totally would have been a 182-fer if he’d had only the chance—would struggle to overcome. Anyway, the new album will come out in April, and should be available everywhere 8-track tapes and phonograph cylinders are sold!